Managing apps on iPhone is relatively easier at the beginning when all you had were the apps that came with the iPhone and a few others you quickly downloaded. However, over time, you download different apps, games, and utilities as per your need. Suddenly, the apps on your device seem over-bloated. You have searched your device to see which app you can delete, but see that most if not all are still relevant. These presents a range of problems such as not being able to quickly locate your apps, as well as the iPhone pages looking scattered. 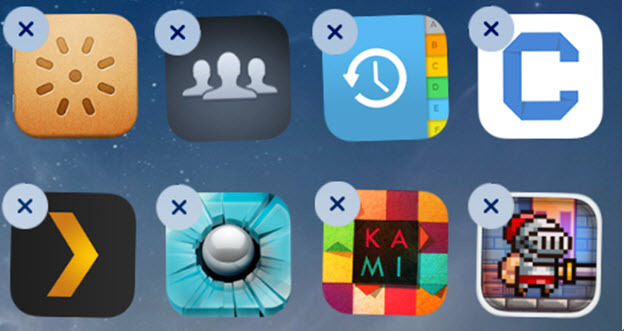 In this article, you will learn simple tricks to manage your iPhone apps, the ways to delete apps from the iPhone, and how to delete the data stored by most apps. Move an App to A Different Page: Hold the icon of the app you want to move for a few second till all the apps on the screen start to wiggle. Move the icon in the direction you want and other apps “make room” for the icon. Move the app to the side of the screen to access the next stage. Leave the icon on the spot you want. Put Apps in A Folder: You can make a folder by dragging an app into another app; you can rename the folder by editing the suggested name supplied by the phone. Move other apps accordingly after this. Reorder Your Pages: Reordering your page requires using iTunes. Plug your device to your PC with iTunes running. Select your device from the panel as soon as it appears there, and in the apps panel switch your iPhone screens till they are in the order you want. Turn off Background Refresh: You can either turn off background refresh for all the apps or selectively choose apps that will have access to background refresh. To do this, go to Settings > tap General > select Background Refresh > toggle it off or on. If you toggled on, you can scroll down and toggle off for selected apps. 1. From the Home Screen: Tap and hold the intended app for a few seconds till all the apps start to wiggle. Tap the small “x” on that app, or any app for that matter in order to delete them. After tapping the small “x” icon, you will be prompted to confirm the app deletion along with its data. Press the “Home” button to stop the app wiggling. Open the “Settings” app, go to General > Storage & iCloud Storage >Manage Storage, then wait for all the apps on the iPhone to appear. Tap on the app you want to delete, you will see the amount of space occupied by the app. Tap the “Delete App” button. On the prompt, tap the “Delete App” again. 3. Using Third Party Tools: iMyFone iPhone Cleaner or iMyFone iPhone Cleaner for Mac is a tool for iOS devices to manage all kinds of data on iPhones, iPad, and iPod Touch. The tool comes with four different modes that users can use to manage all kinds of data on their device. 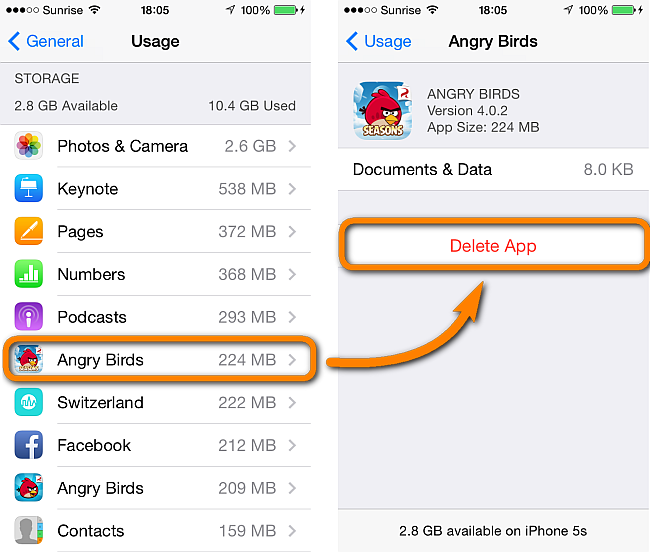 The “Basic Erase” deals with bulk app deletion. Step 1: Launch the iMyFone Umate app on your PC (assuming you have installed it before hand) and connect your iPhone to your PC. 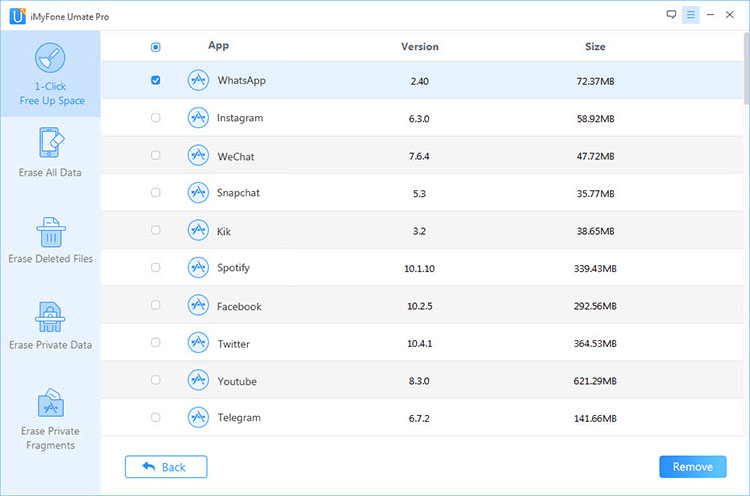 Step 2: Once your device appears on the interface, click on “Quick Scan” to show how the storage space of your device is used. Step 3: In the application tab, select the apps you are no longer interested in, and click “Remove”. Step 1: Run Umate Pro and select the “1-click free up space” mode. Step 2: Click on the “Quick Scan” button. Step 3: Click the “Clean” button for both “Temporary files” and “Junk Files”. To erase Safari cache, history, and other private files, use the “Erase Private Files” mode and select the files that you want to delete. All-in-one Solution: The utility comes with four modes including basic clean up, storage optimization by deleting media files and apps, and privacy protection. 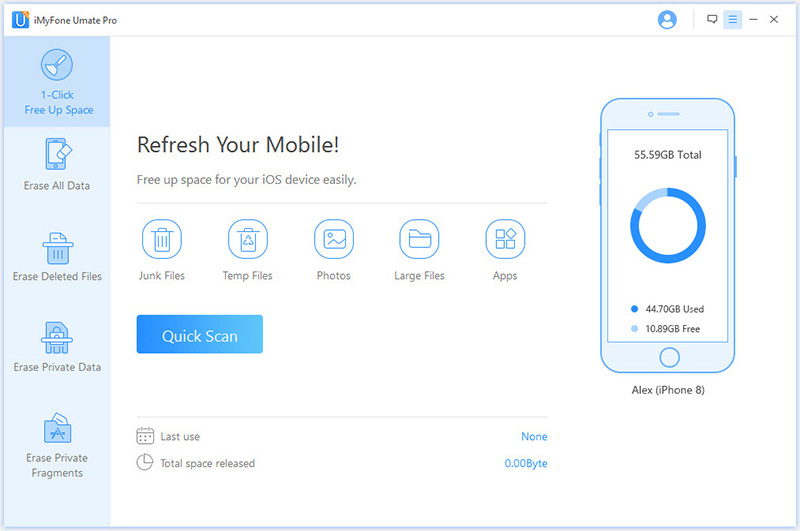 1-Click Cleanup: Release massive storage for iPhone by removing junk & temporary files, mass deleting photos and large files, compressing photos, as well as managing Apps. Permanently Erase iPhone Data: Data erased by the utility is erased permanently, the erased data cannot be recovered by any data recovery software. Selectively Erase iPhone Data: Users can preview and selectively erase files from their iPhone. Erase Deleted Files: Users can also scan their iPad with the utility to see previously deleted files to let them gone permanently.